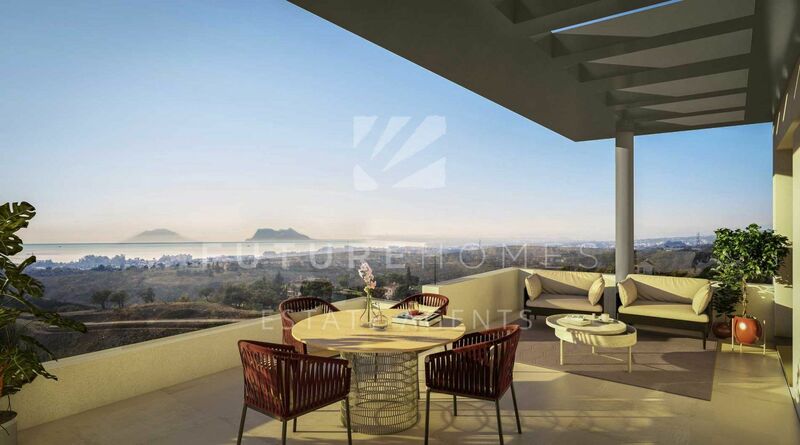 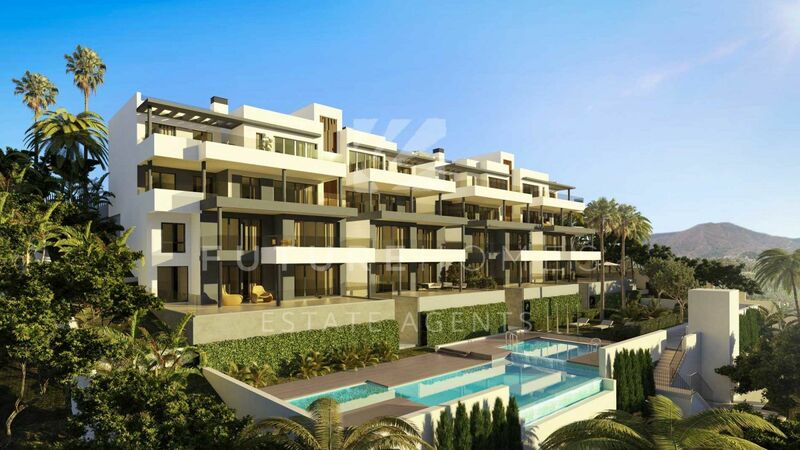 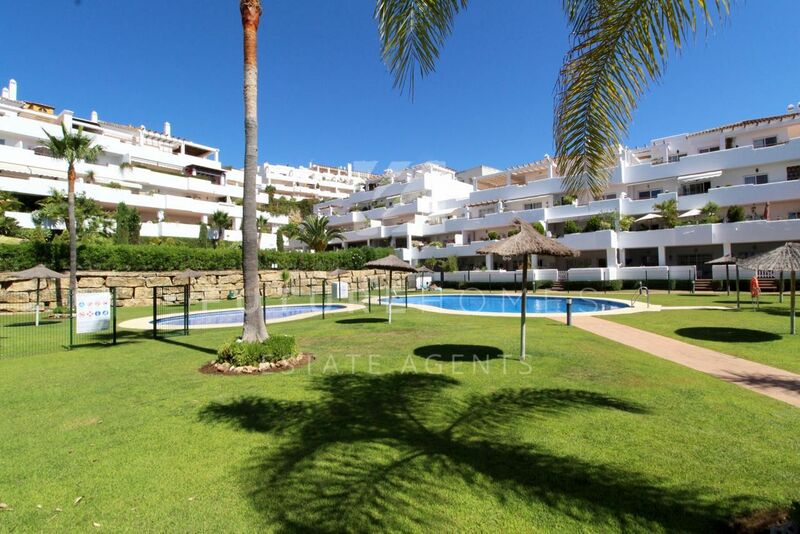 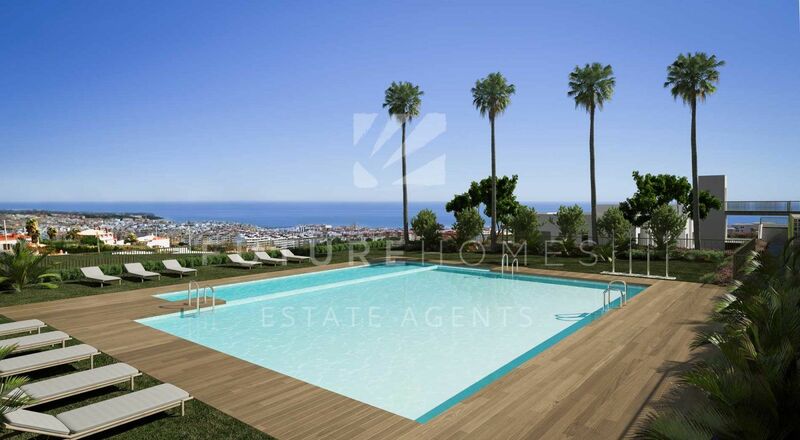 Fantastic new development walking distance to Estepona port! 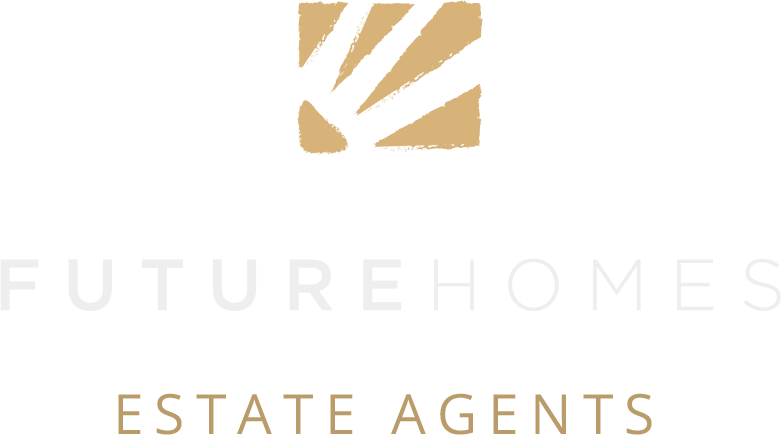 PRE LAUNCH PRICES FOR OUR CLIENTS! 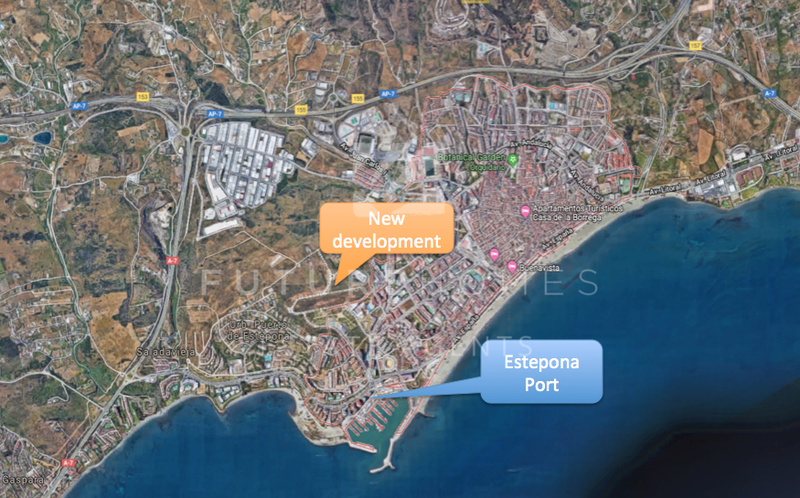 Super new development within walking distance of Estepona port and town centre due to complete around the end of 2020. 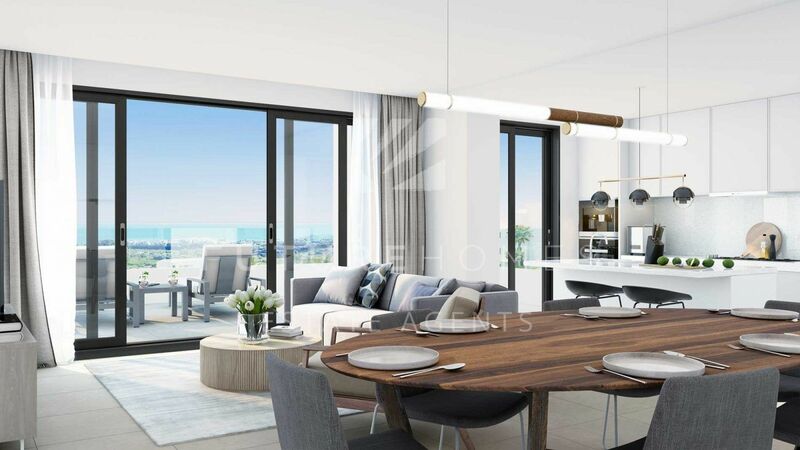 We are delighted to offer our clients the unique opportunity to reserve one of this contemporary apartments at pre launch prices. 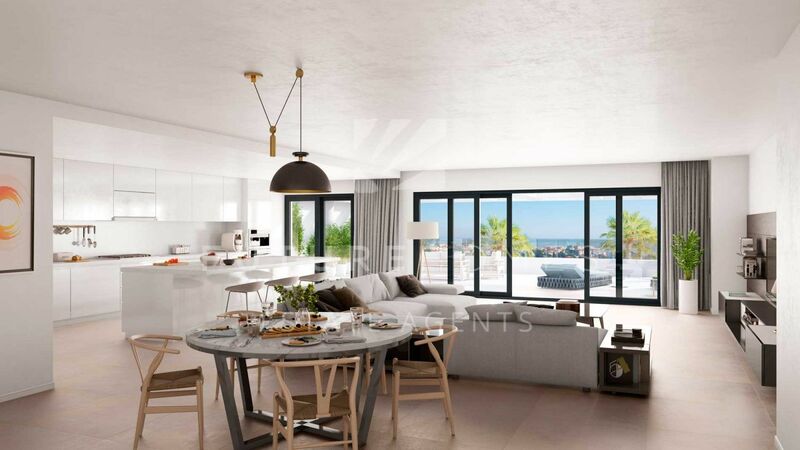 We love the sizes of the open plan living room and particularly the spacious open terraces. 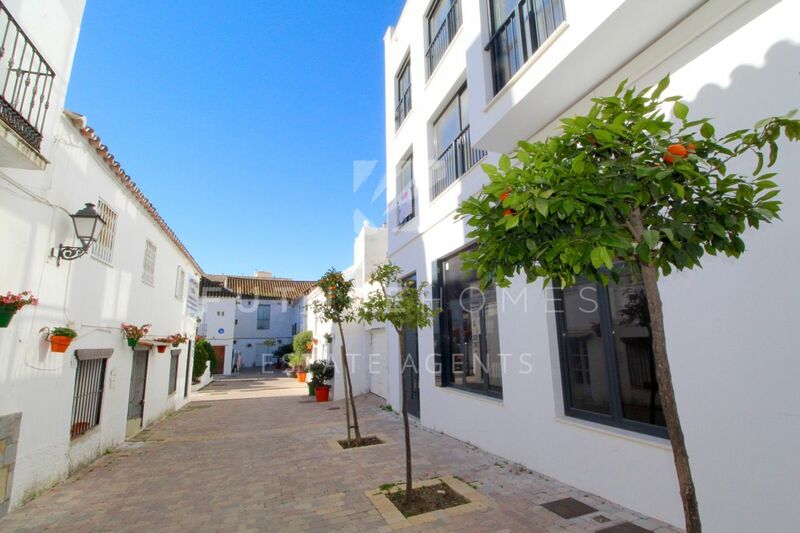 This property for example is one of our favourites, a 3 bedroom penthouse with a super layout and the private terrace is a very generous 25m2, south facing. 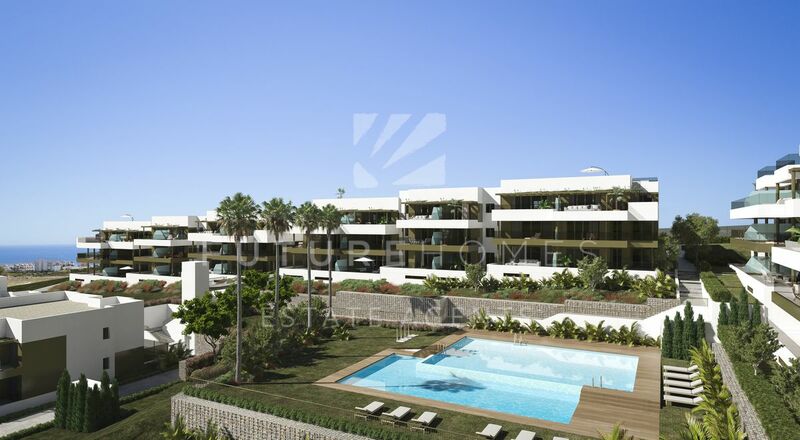 In total there will be 187 apartments spend over three plots but forming one community. 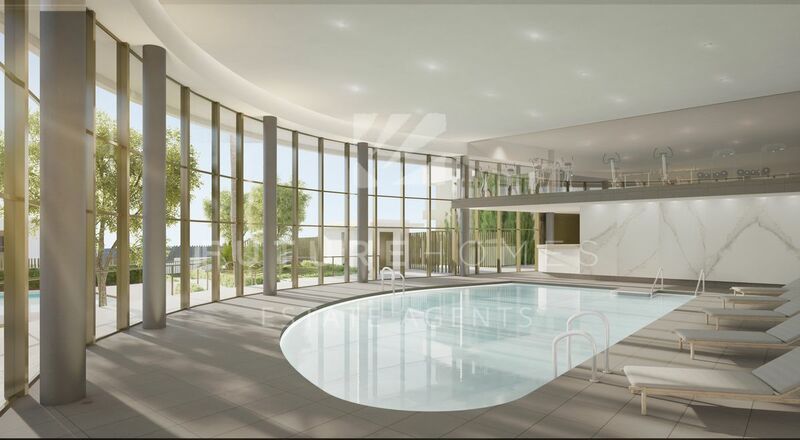 With three open air pools and a super indoor pool and gym, and underground parking space and lock up storeroom included in the price. 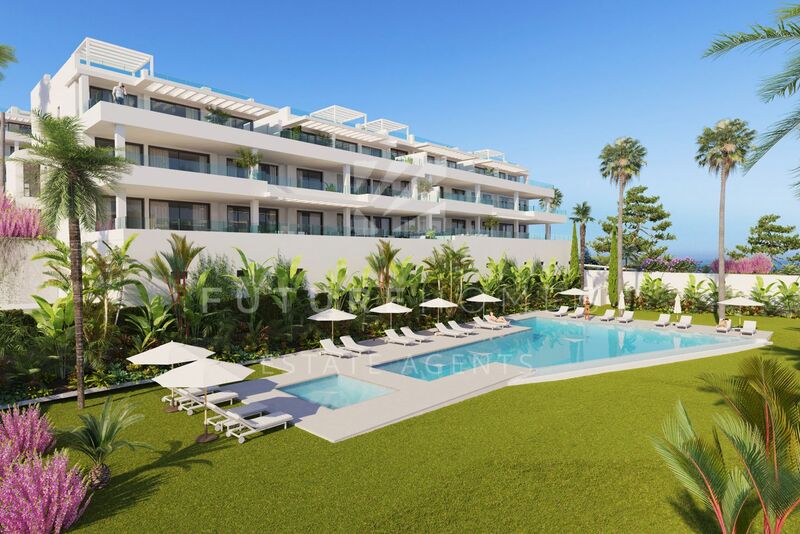 There are 1, 2, 3 and 4 bedroom properties with ground floor apartments boasting private gardens and penthouses with extra large terraces and in some cases, solariums too. 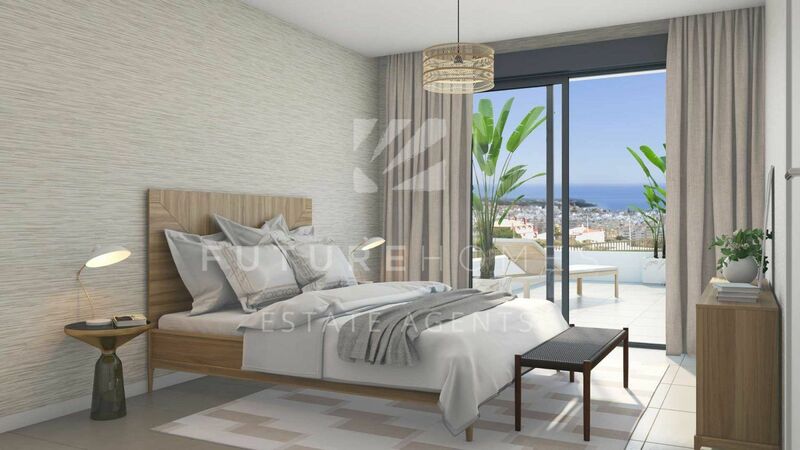 Qualities include fully fitted kitchen with a choice of colour, all white goods will be included such as washing machine, dishwasher etc, and solar hot water throughout the community. 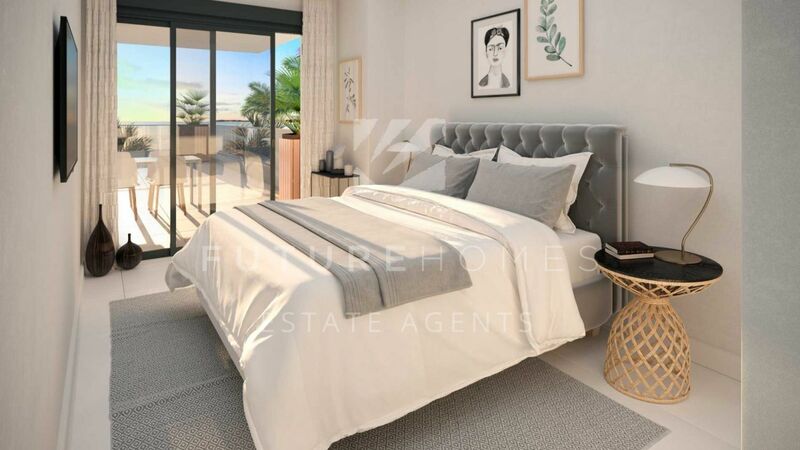 With solar hot water, heating and air conditioning installed throughout, the buyer has a great choice of floor and bathroom tiles. 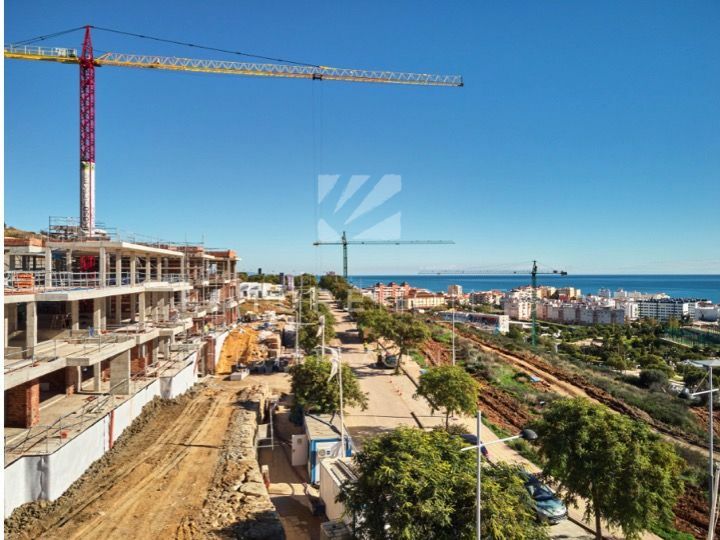 Building work is due to commence early 2019 with an approximate finish date of end 2020 expected. 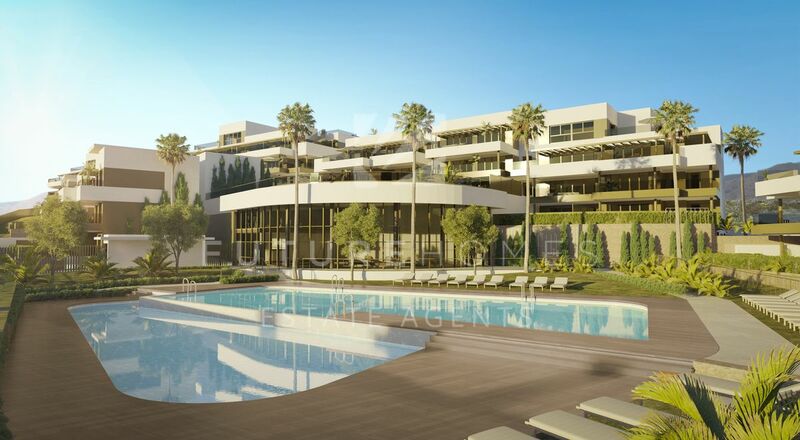 A very interesting project in a great area, and we believe they will be very solid investments. 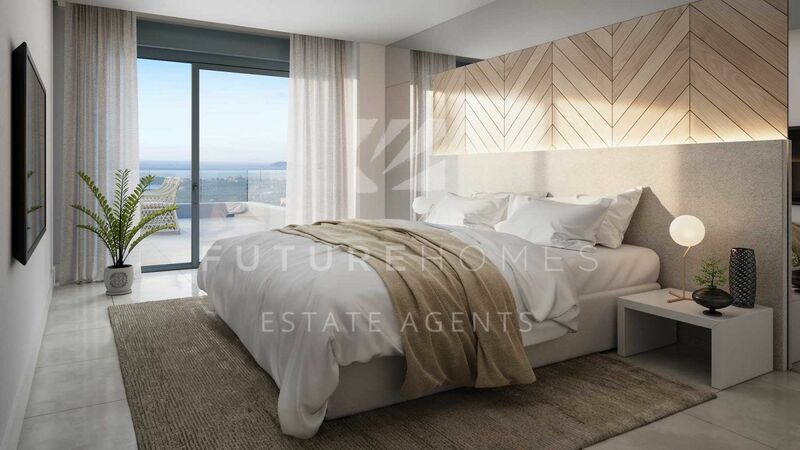 At this stage the developer does not want to publish the photos, however please contact us directly for more information and floor plans/availability. 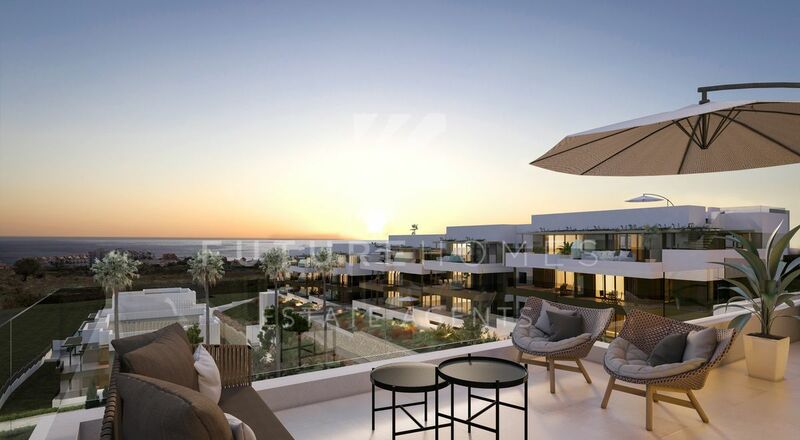 Sure to sell very quickly, first units have already been reserved and prices set to increase.